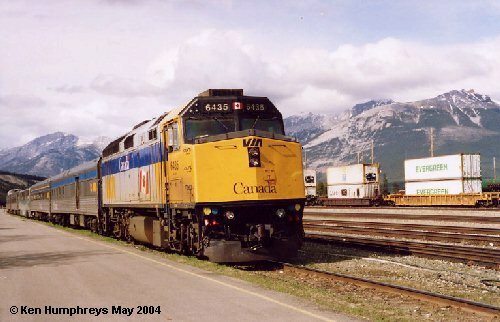 The railroad station and freight yard at Jasper, Alberta provides a great deal of opportunity for train watching from VIA Rail Canada passenger trains to Canadian National freights to a displayed CN Mountain 4-8-2 steam locomotive in front of the beautiful depot at Jasper. 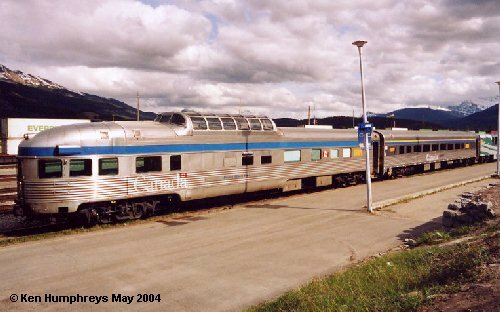 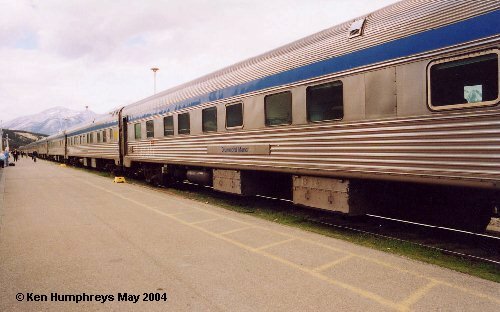 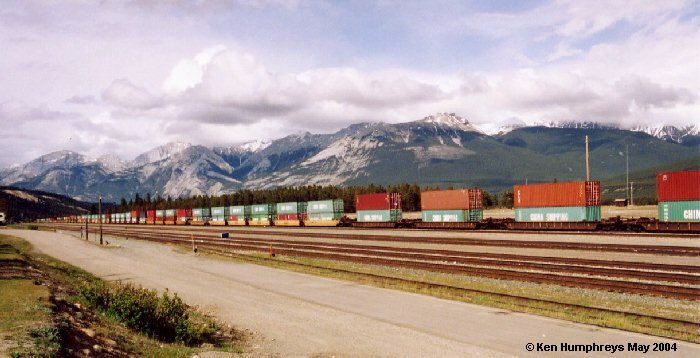 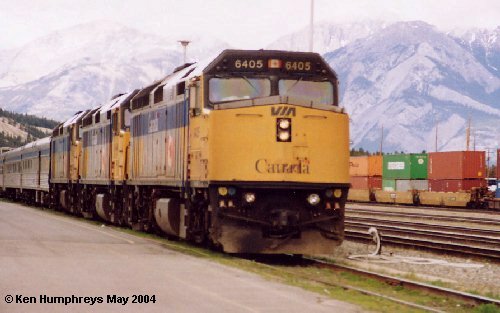 The photos here were taken while waiting for the arrival of VIA Rail Canada Train #1 to Vancouver on May 29, 2004. 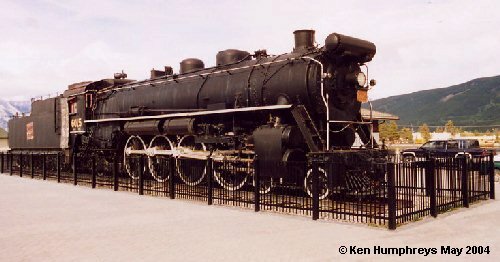 Click on the images below to see the full sized version. 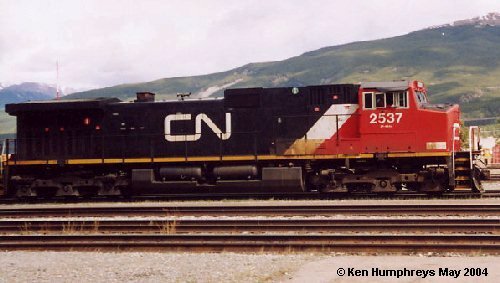 Some images will open pages of multiple photos. 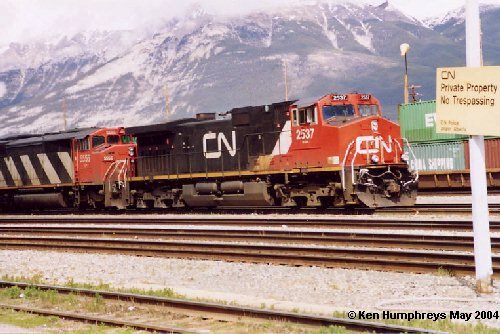 Hit your back button to return and view the next photo. 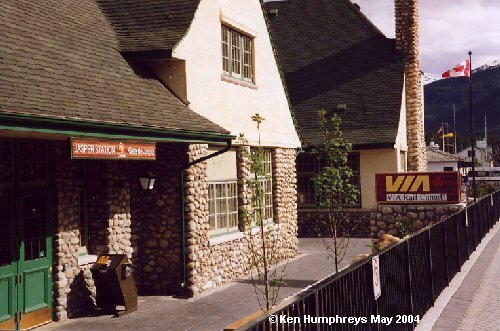 All images are copyrighted by Ken Humphreys.